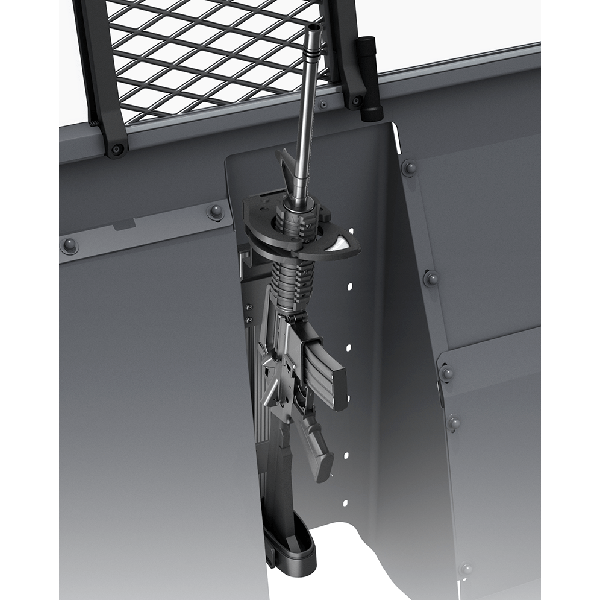 Setina’s Single T-Rail Mounting Systems, provides law enforcement with a superior solution for Single Firearms Mounting and Placement. 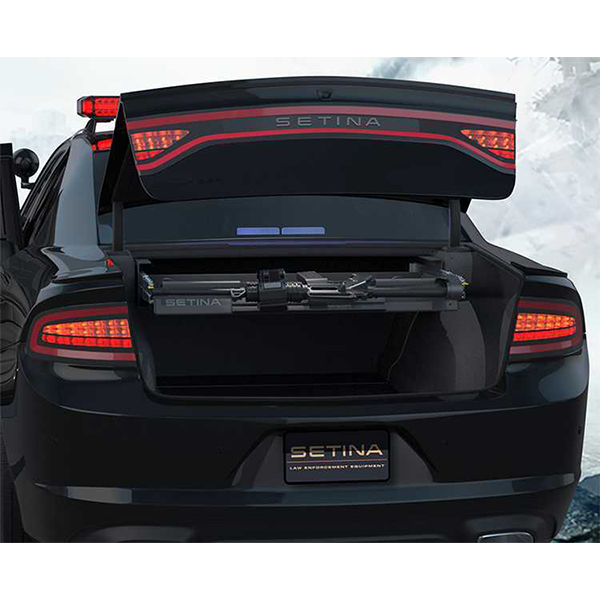 Designed for Maximum Versatility and Ease of Access, Setina ‘s Single T-Rail Systems are repeatedly chosen by law enforcement. We’ve developed a universal design for all new police vehicles that can be installed quickly and easily. 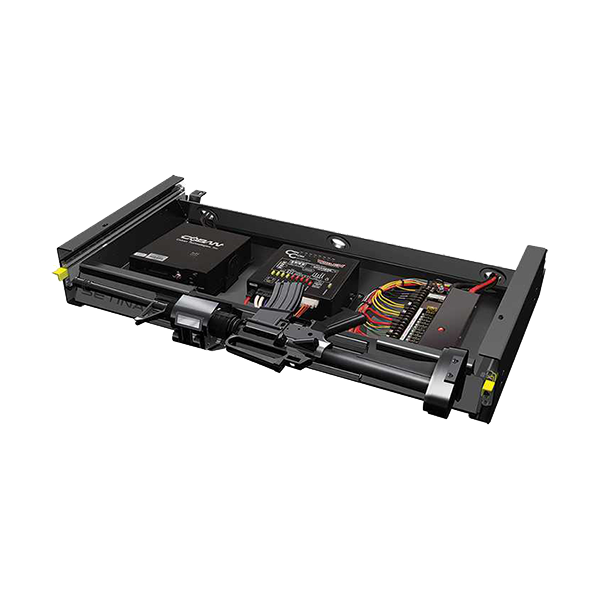 When it comes to mounting versatility, Setina’s Single T-Rail system is unsurpassed. Compatible with partition, freestanding, trunk tray, and hatch mounting locations. Our Single T-Rail systems are also available with your choice of lock options to fit your department’s needs. The freestanding mounting system is recessed between the front seats, allowing extra space and accessibility. Easily converts to a double T-Rail. Setina’s Single T-Rail is strategically designed for optimal ease of access on all mounting locations. No reaching, straining, or fumbling to unlock or access your firearms. Situated perfectly in your center console, on the hatch of your vehicle, or the front of your trunk tray. High Strength Aluminum and Steel construction. 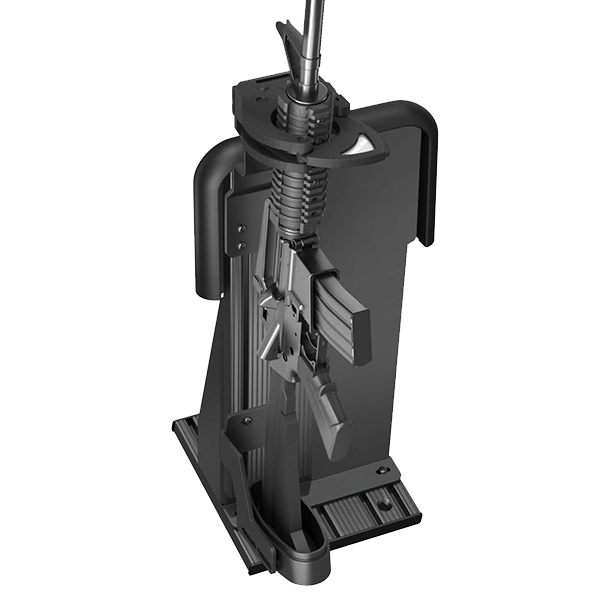 Single T-Rail slide track for your favorite lock and firearm. Setina’s Single T-Rail systems can be used as a Partition Mount, Hatch Mount, Trunk Tray Mount or on a Freestanding Base (sold separately). All Setina lock options are compatible with most of these Single T-Rail mounting styles.